If you’re like me, you carry everywhere it is legal. But how can you transport your firearm on the airlines? Here’s the quick overview of what you need to be aware of when traveling with your firearm. Review the local carry laws in the state where you will be traveling. 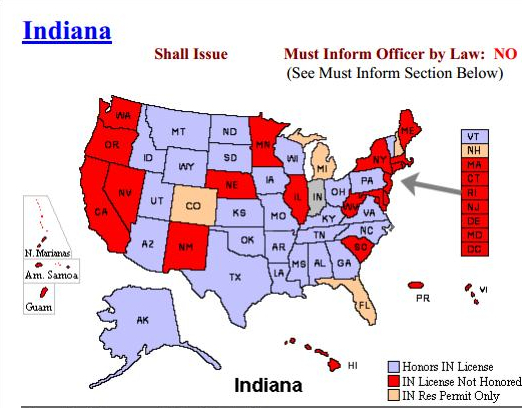 For example, if you have an Indiana permit, www.handgunlaw.us has a great quick guide to reciprocity. Here’s the abbreviated map – but remember – like anything else on the internet, verify before you go. You can confirm the laws by going to each respective state’s website. Here are the full quick guides for Indiana and Kentucky compliments of handgunlaw.us. 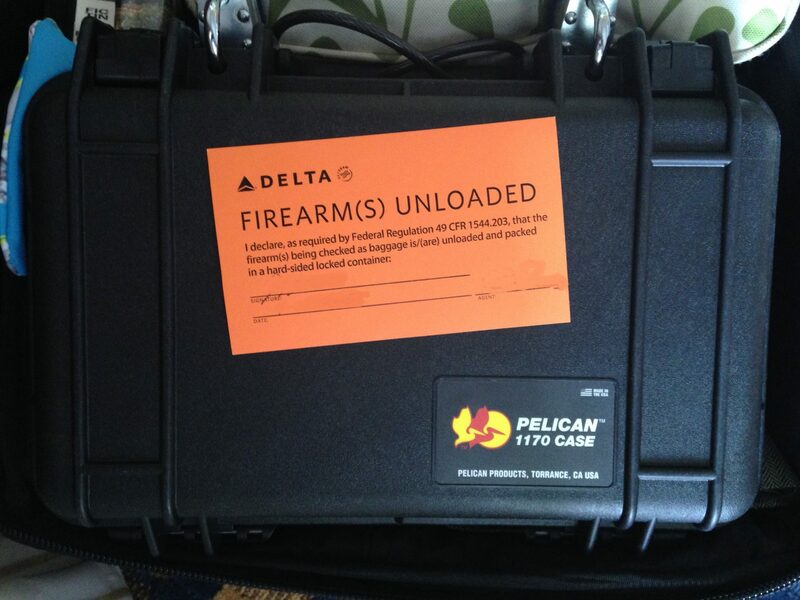 Buried in regulation 49CFR Part 175, we find that we can carry small arms ammunition in checked baggage only, and that it must be securely packaged in boxes or other packaging specifically designed to carry ammunition. Magazines can be loaded, as long as they are securely boxed. Additionally, there is no provision that they cannot be stored with your firearm in the same case. Pack your firearm appropriately and secure it to your luggage. We have a great combination gun safe from Snap Safe in our shop that fits perfect inside a piece of checkable baggage, and includes a cable lock – ideal for this purpose. Shown here is an older pelican case with a cable lock from a previous photo shoot I did while at a Disney property. The point is that the firearm should be secured inside your checked luggage, and nobody should be able to gain access from it easily. YOU and only YOU have the key or combination. Nobody else according to federal regulations can have access, regardless of what the ticket counter agent says. You’ll have to take your bag directly to the ticket agent in order to check your bag so that you can declare your firearm. They’ll probably hand you a card, like the one here from Delta. You’ll sign it, date it, and the agent will sign it. 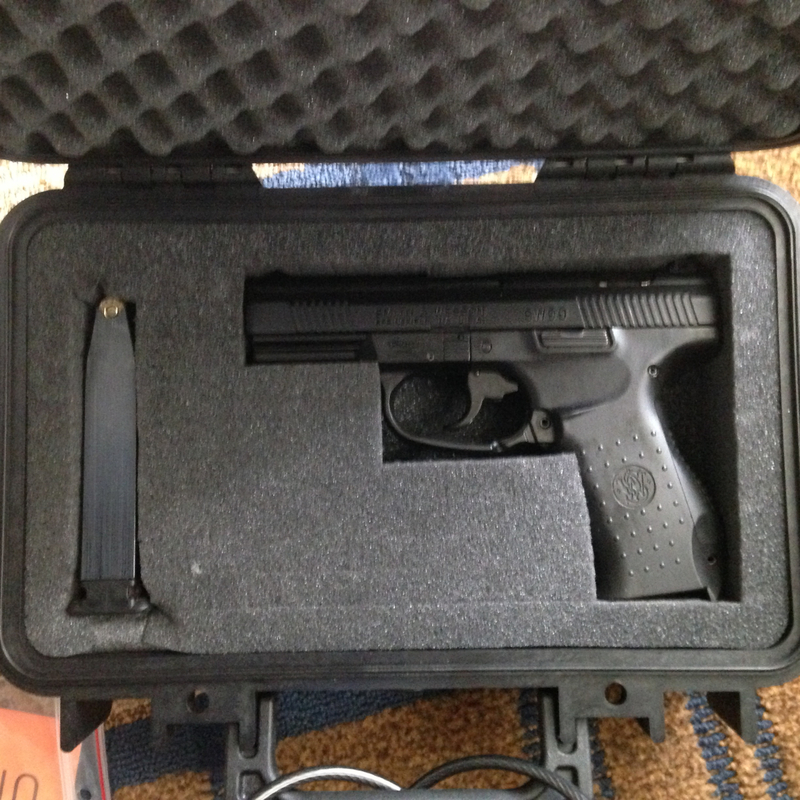 Then, you’ll place it inside the bag, next to your firearm case, as shown below. Follow the ticket agent’s instructions from there. You may be asked to stick around for 10-15 minutes to make sure that there are no issues when TSA scans your luggage. 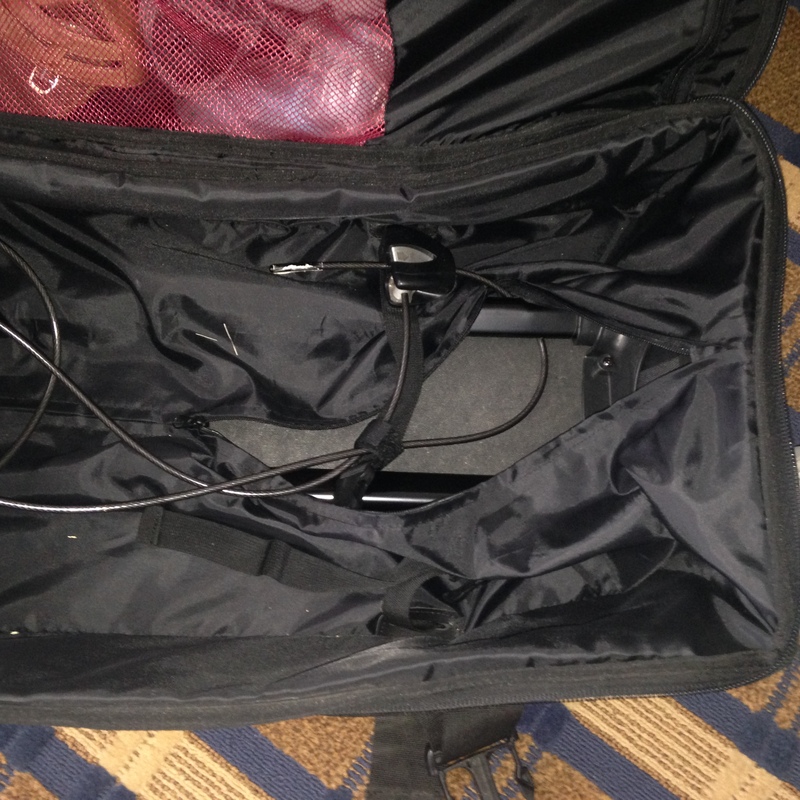 If there is a reason for TSA to open your bag, they’ll probably need you to open the firearm case in order to visually inspect it. If that happens, expect to be brought to your bag. The TSA is not allowed to handle firearms due to their own rules, so you may have a local law enforcement officer present to verify your firearm’s condition. Of course, follow the local law enforcement officer’s instructions. Don’t attempt to connect through New York with a firearm. There are laws in place that are supposed to protect you during interstate travel, but there have been some horror stories of people getting arrested or worse for checking firearms in New York. Check out this link for a story John Stossel did on this very issue. When you get to your destination, you’re ready to carry again. Just repeat the process going home.